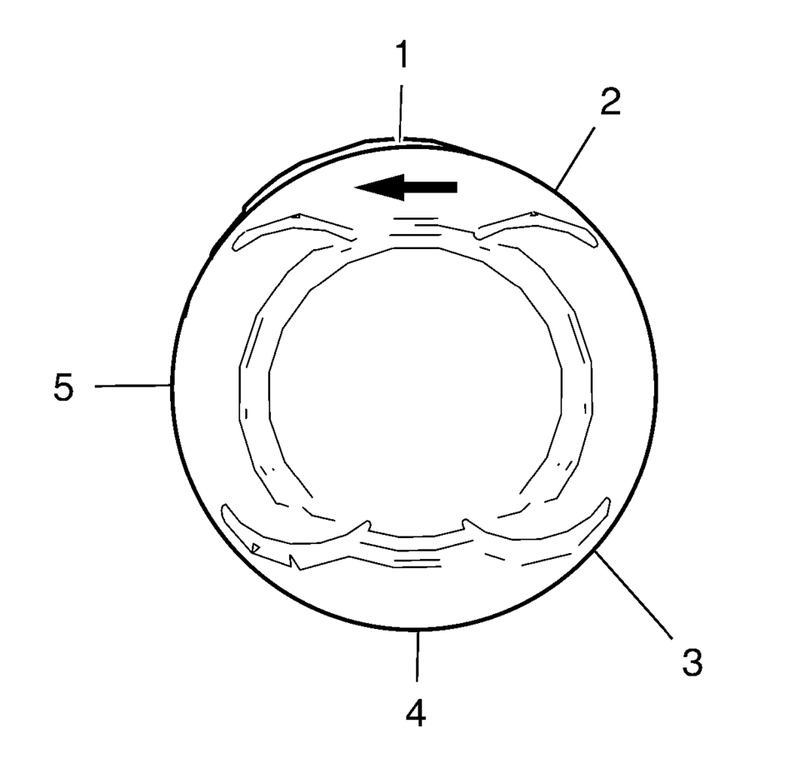 Oil rings (2) or (3). 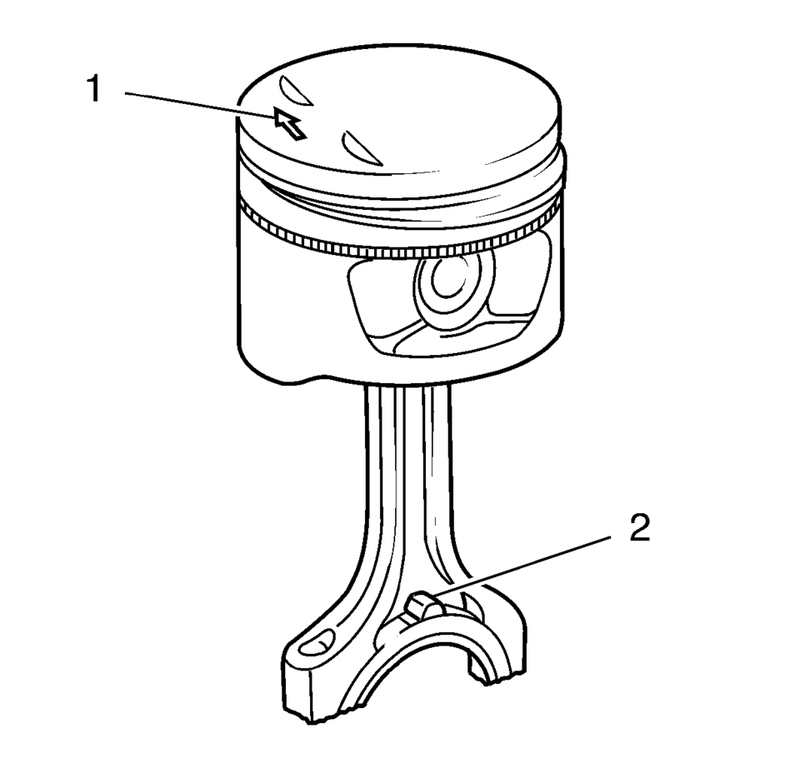 The arrow (1) on the piston head must point to the timing side. The markings on the connecting rods (2) must point to the transmission side. 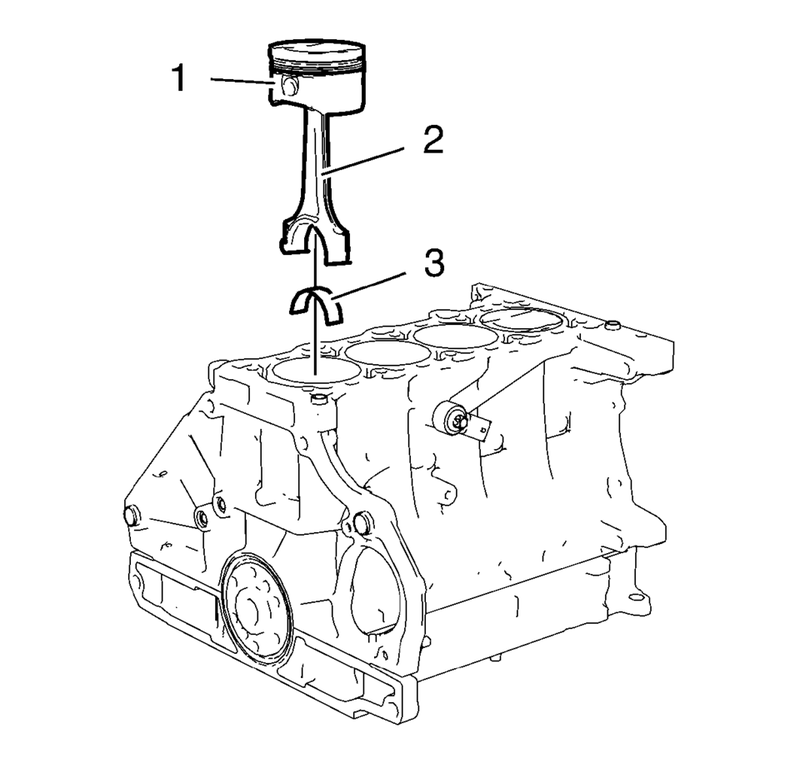 Install a piston ring compressor to compress the piston rings. 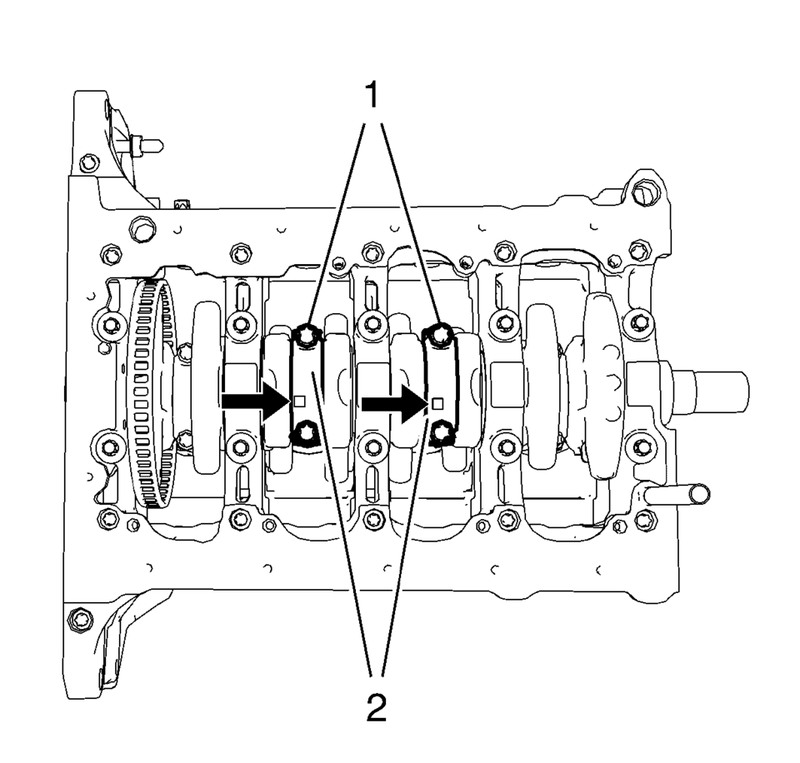 Install the pistons (1) in along with connecting rods (2) and upper connecting rod bearings (3) to the engine block and to the crankshaft. 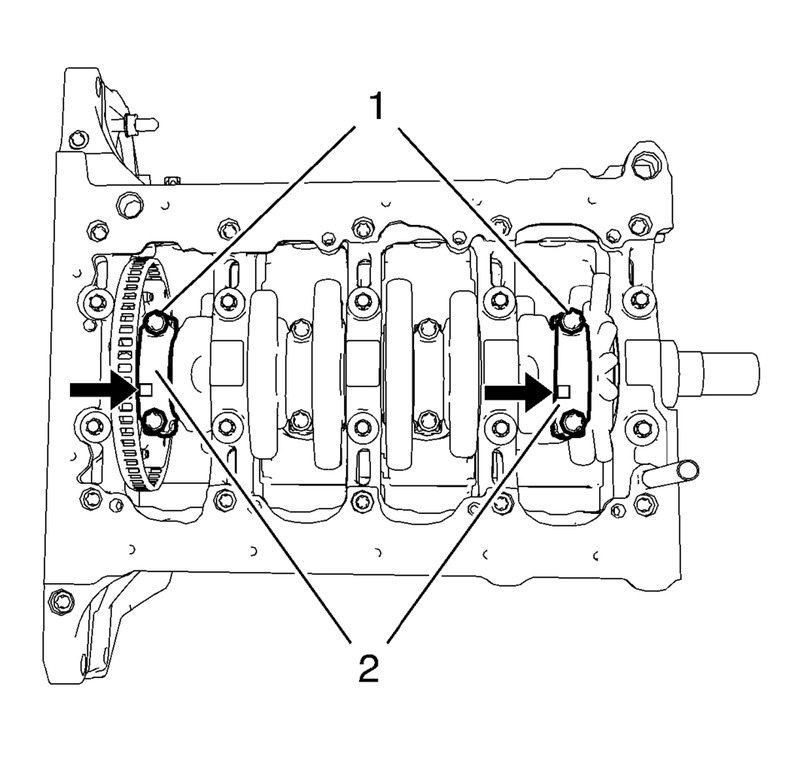 The flarings (arrows) on the connecting rod bearing caps must point to the transmission side. The connecting rod bearing caps must be installed in their original position. Install the 2 connecting rod bearings and the 2 connecting rod bearing caps (2) of cylinder 1 and 4. Do not reuse the old bolts. Tighten the connecting rod bearing cap bolts an additional 45 degrees. Use EN-470 B wrench. Rotate the crankshaft 180 degrees. Install the 2 connecting rod bearings and the 2 connecting rod bearing caps (2) of cylinder 3 and 2. Tighten the connecting rod bearing cap bolts an additional 45 degrees. Use EN-470–B wrench.